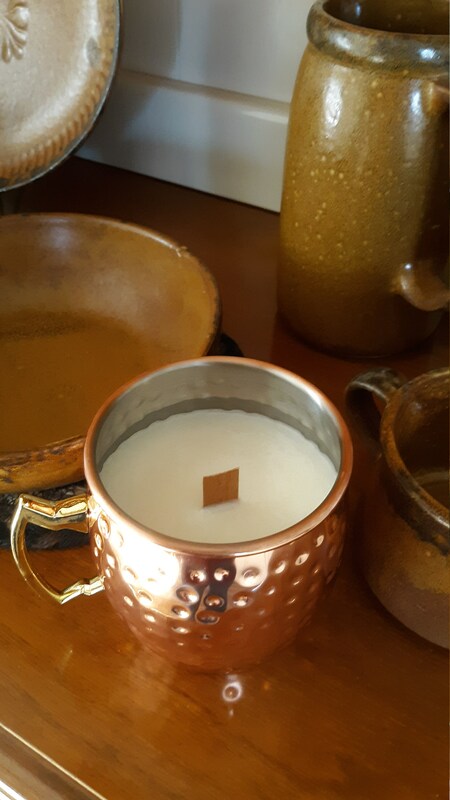 Soy candles! A clean burning candle! Illuminate your room! Pick your own fragrance(s). Give as gifts! Buy in bulk! 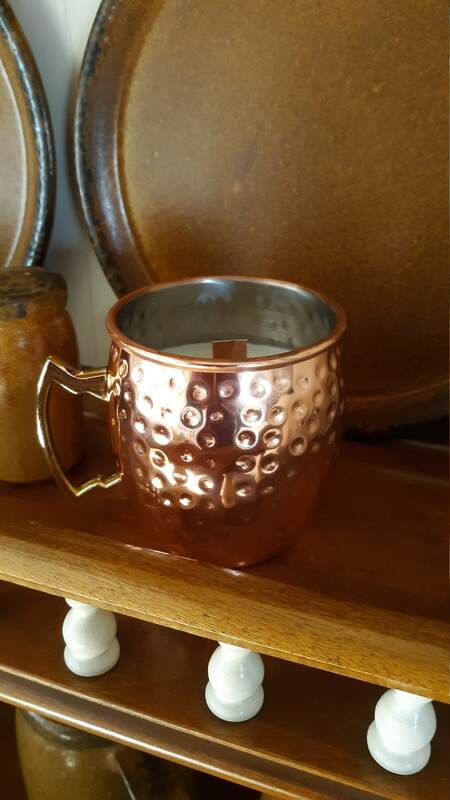 Moscow Copper mugs are hammered and lined with Nickel. 18 ounces. 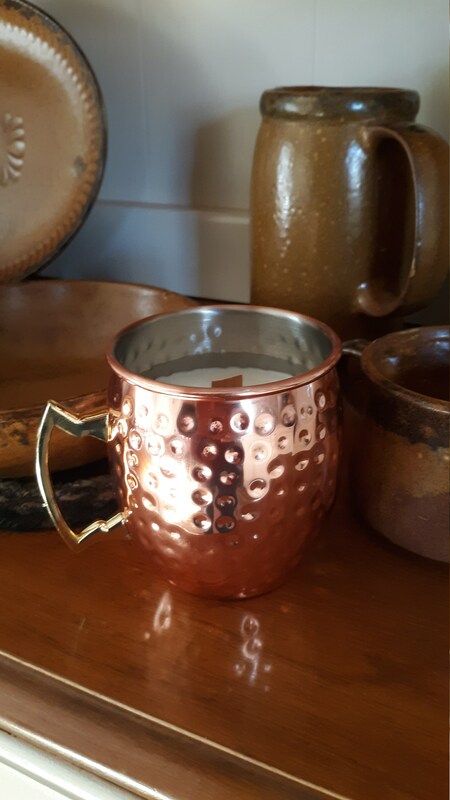 Use the mug after your candle melts!